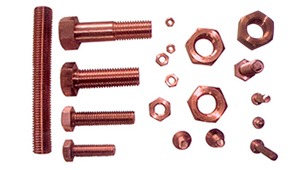 We are Manufacturers, Exporters and Dealers of Copper Laminated Flexible Connectors. 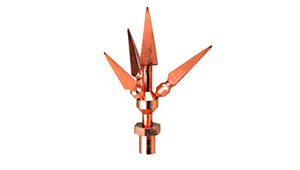 We offer the finest quality Laminated Copper Flexible Connectors that are manufactured by stacking several foils of electrolytic copper and then applying high current under high pressure. 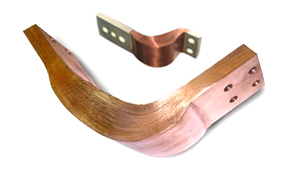 These Copper Laminated Flexible Connectors are produced from high conductivity electrolytic grade copper foils / sheets. We follow various methods to produce these flexible jumpers. Press Welding:-In Press welding, individual Copper strips are fused (one homogeneous mass) together by applying direct current and pressure without the use of any foreign material. It results in producing a solid palm with properties of a plain bus bar of the same cross section. 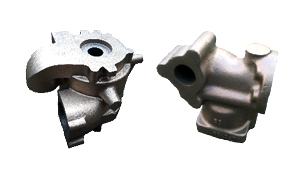 This method assures minimum resistance thus increasing the product life & reduction in downtime. Welding provides the best mechanical & electrical properties at high temperatures. 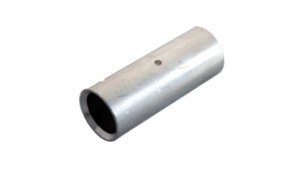 These are available in all sizes covering the desired cross section area. Slotted holes can be provided up on request. 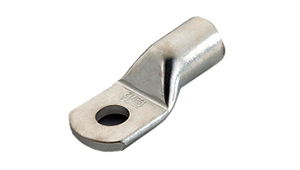 Copper laminated Connectors consist of several stacked strips with riveted or welded contact areas. They have a constant cross-section over the whole length. Bus bars and laminated connectors with the same cross-section can be loaded with the same current. 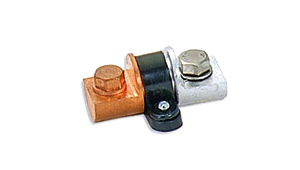 A part of laminated connectors are utilized as flexible expansion connectors in order to connect bus bars of switch gears, transformers, generators, etc. Thanks to their elasticity, thermal expansion of bus bars is being compensated.